If you are like us and sit at your desk for more than 8 hours a day, every day, then this Kickstarter project from Uprite Ergo is one that you should look into. Less than 50 years ago, most Americans led physically active lifestyles that involved continuous movement in physically challenging working environments. In recent years, however, sitting at a desk has become the predominant way to make a living, and this ever-increasing sedentary lifestyle is taking its toll. According to Harvard Medical School, sitting at a desk or workstation for hours on end can lead to back issues, increased blood pressure, diabetes and even cancer. Not even regular exercise can truly offset the negative effects of sitting for 8-12 hours a day. 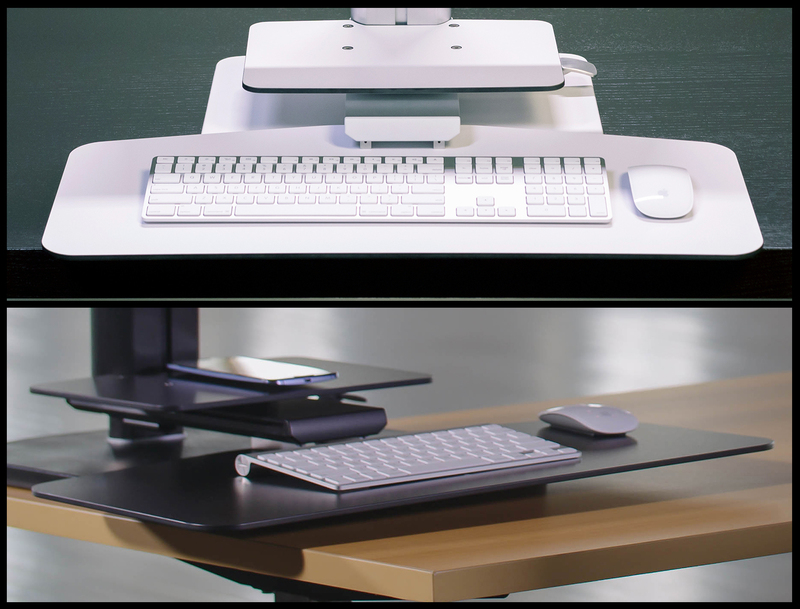 Luckily, there is a solution: the height adjustable workstation from Uprite Ergo™. While height adjustable desks have been available for a few years, the Uprite Ergo Sit2Stand Workstation has raised the bar in performance, reliability and affordability. Current height adjustable desks require you to completely replace your existing desk and can cost upwards of $2,000. Even recently introduced desktop workstations are expensive, bulky, ugly or a combination of the three. They take up the majority of the available desk space and often need to be clamped on, positioning it in an unusable or awkward space. 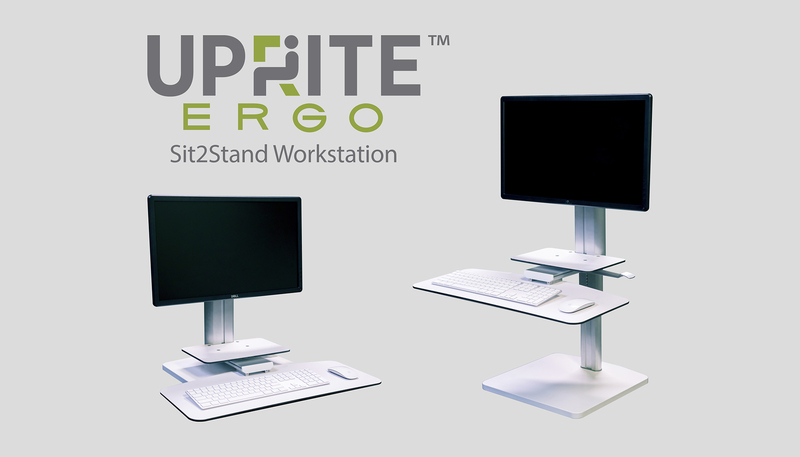 Uprite Ergo’s Sit2Stand Workstation, on the other hand, provides an affordable sit/stand solution that occupies a small desk-top footprint. An adjustable column allows for a fast and simple transition from a sitting workstation to a standing one, while a locking lever ensures your monitor and keyboard are completely stable and secure. 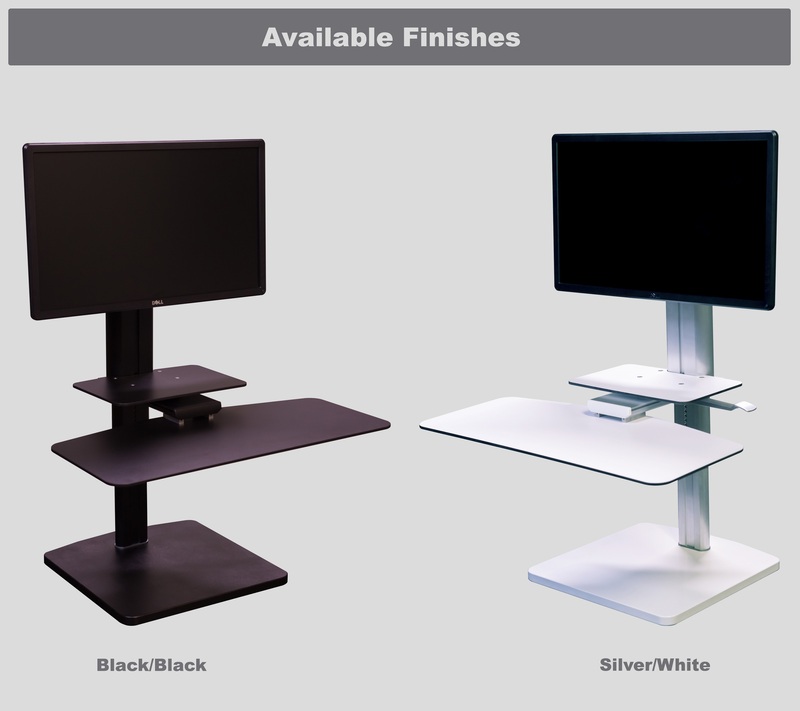 A combination of durable anodized aluminum and scratch resistant phenolic board work surfaces are available in silver/white and black/black and ensure a tough, sleek and attractive design. In addition to the keyboard tray, our design also features a sliding work surface that allows for easy note-taking while in a seated or standing position. 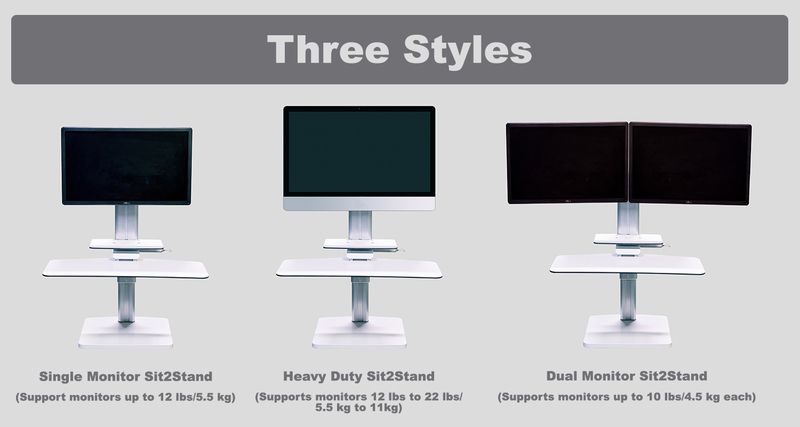 The Sit2Stand Workstation will come in three versions: a standard version for most standard monitors, a heavy-duty version for heavier monitors and all-in-ones like the iMac and finally a dual monitor version. It is easily adjustable so you can set at the ergonomically correct sight level. 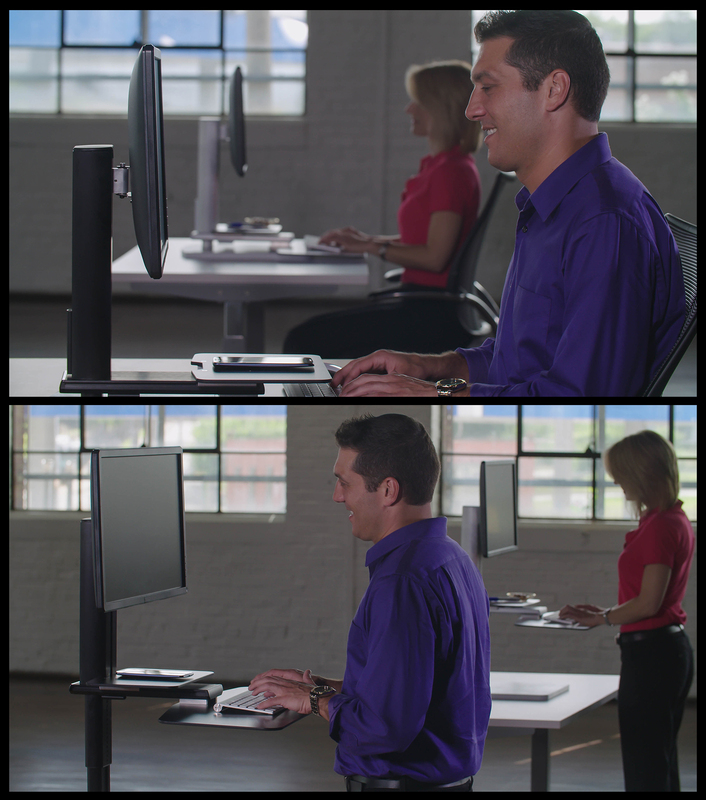 Because there are no clamps, you can set the Sit2Stand Workstation anywhere on your desk or work surface. Uprite Ergo’s platform base allows the unit to sit on top of existing desks, negating the wasteful need to purchase a new desk. 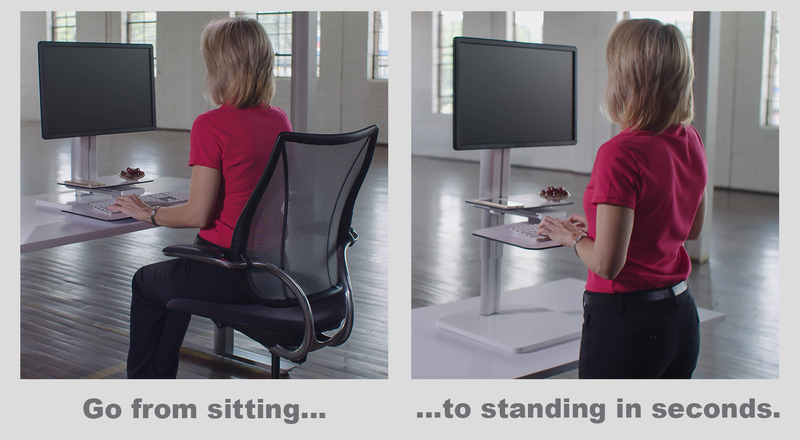 These features make the Uprite Ergo Sit2Stand Workstation the best solution for a sitting/standing workstation. Now, Uprite Ergo is seeking early adopters of their revolutionary product through Kickstarter. The campaign launched on August 18, 2015. You can find more information here at upriteergo.com. Follow Uprite Ergo on TWITTER, FACEBOOK and GOOGLE+ to stay up to date with this game changing product. This entry was posted in Accessories and tagged adjustable workstation, affordable, dual monitor, ergonomically correct, iMac, Kickstarter, revolutionary product, Sit2Stand Workstation, Uprite Ergo. Bookmark the permalink.